An easy way to transfer images onto Fabric with this simple method using a home printer. I have used a few methods for image transfer and is the one that works best if you have a front load printer. Mars Incorporated worked with me to create this tutorial and give the fur-babies some training treats. All opinions (and unruly dogs) are mine alone. 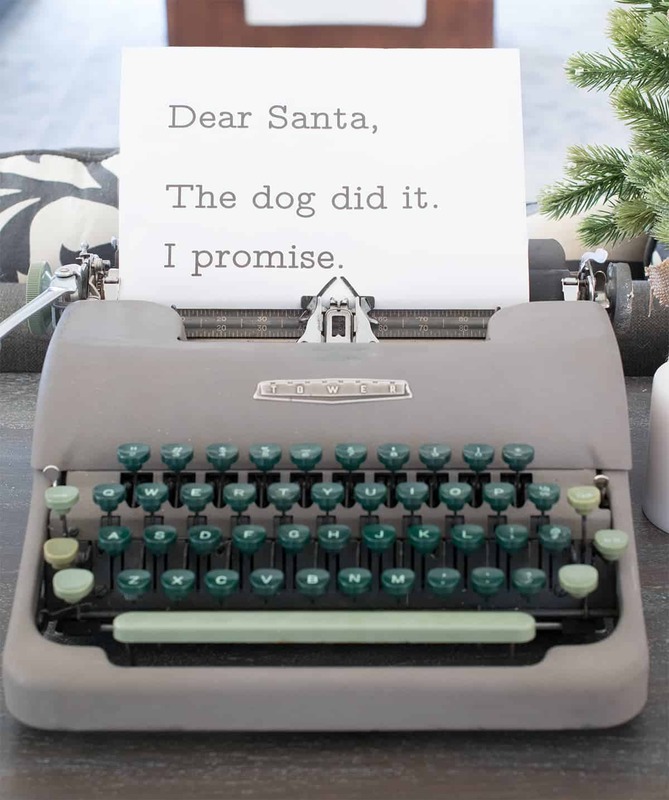 But everyone, especially our furry family members, deserve a very merry Christmas. There is nothing that makes a long day brighter than the excited welcome as we walk through the door. Don’t let those cute faces fool you, haha. These two can be trouble makers if they so choose, but they are generally well-mannered. This week marks the one year anniversary of adopting both Crash (left) and Pepper (right). Both are sad stories but Crash is especially heart wrenching (adopted by us at 3 years old, but we are family #5). He has the Eeyore face to show it. However, with love, consistent expectations, and a lot of training treats, these sweet babies have come a long way from their unruly days. They are really working hard to stay on Santa’s nice list. As my longtime readers know, for fabric images, I usually make stencils with my silhouette cameo or print directly onto the fabric. However, I understand that not everyone has one of these machines so I wanted to find a way to get the image onto fabric with out a stencil or the ability to print directly on the fabric for items like purses or pouches. Make or find your design. You can size it as you need in Microsoft Word. For this method, make sure you reverse the image before you print it. I use glossy paper printing and best quality. Cut the edge off of the page protectors or other plastic to size. The backing on label sheets work excellent for this as well. I have tried the wax paper and if you have a printer that loads and outputs from the front, DO NOT USE WAX PAPER! I will absolutely save you the two hours of trying to get that paper jam out that I have experienced in the past. Wipe the fabric down lightly with the slightly damp sponge. The sponge allows the ink to spread a bit into the fabric. Too much water means that the image will spread too much, so use sparingly. Print your image and immediately lay the image printed side down onto your fabric. Make sure not to move the image to avoid smudges. So you might be wondering if this is washable. There are some considerations and I have tried them in the past. First, if you are using a pigment based ink (check your printer guide), then it should be washable. However, test first. If using a dye based ink, I would consider hand washing at least the first few times or testing a small area (or scrap) to be sure. Dye based inks do have a tendency to fade or release in the wash. Pretty cute, huh? Much of how the image will transfer onto your fabric depends on your printer and how much ink it uses to print. My printer uses very little in and, thus, I get more of a lighter weathered look. However, I have tried this technique with other printers and it varies. If you would like a uniform look or the image doesn’t transfer in spots, use a fabric marker to fill in the areas. Want More Simple Craft Ideas? Look no further! Would this work on jeans? I think with denim, the texture of the fabric might make it seem even more washed out, especially dark jeans. In that case, I would almost certainly use the transfer as an outline and then maybe color it in more with a fabric marker. Good luck with your project! I just want to make sure that I have this right. You actually print on the page protector? Yes, that would be correct! The plastic won’t soak up the ink so that you can transfer it. You can use a quality page protector (no matte), projection transparency, or anything like that. of image onto fabric was really amazing and informative to me and it really help me. What type of printer do u need ? Or can u use either inkjet or laser ?? Hi Linda! I use an inkjet printer at home for this method. 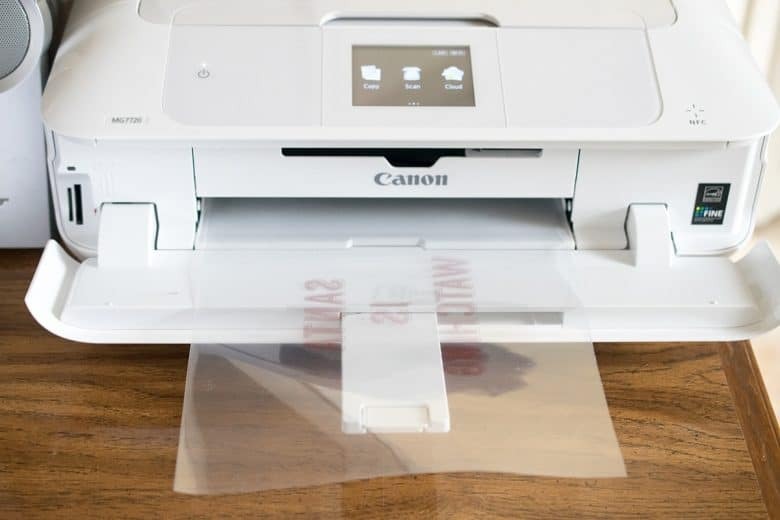 A laser printer might be too hot for the thin plastic sheets. 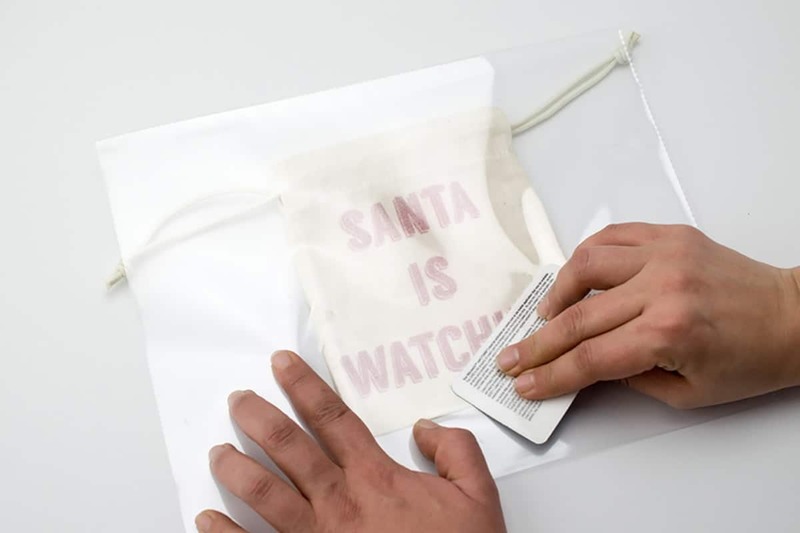 Alternatively, if you want a crisper image, such as a photo, you could use this transfer paper. For laser printers, there is also a specialty transfer paper. These are the cutest, I need one for my doggie. And I am so excited to try the sheet protector to transfer the image. I too have tried and failed miserably with the jammed wax paper. The sheet protectors could be wiped off and reused too probably! Such a great tip! Oh that’s so cute! What a great idea! Thank you, Amanda! I know they will love it and I am happy to not have my pants pockets smell like dog treats anymore. Your dogs are so cute! I love the little treat bags – I didn’t know you could transfer images that way. I’ve only seen the waxpaper way. Great idea! Yeah, I tried the wax paper way and it was a total fail up to and including waiting on customer support to ship me a new printer. (Thank goodness it was still under warranty!) I will never do that again, lol. 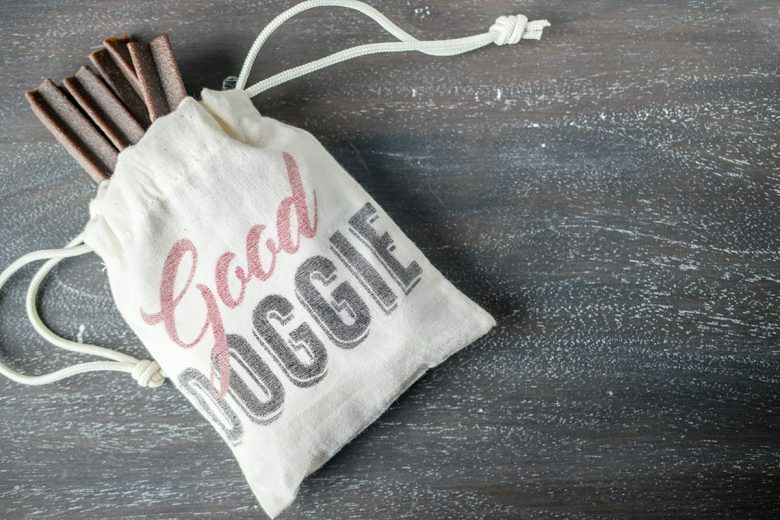 The bags are adorable and so are your dogs! Oh, thank you! They are becoming better behaved with all the love and guidance we give them. Your sweet dogs are the cutest!! We always give our dog presents on Christmas too, he gets so excited! Love the cute treat bags!